Our branded signs are used widely across the UK in all types of parking facilities. 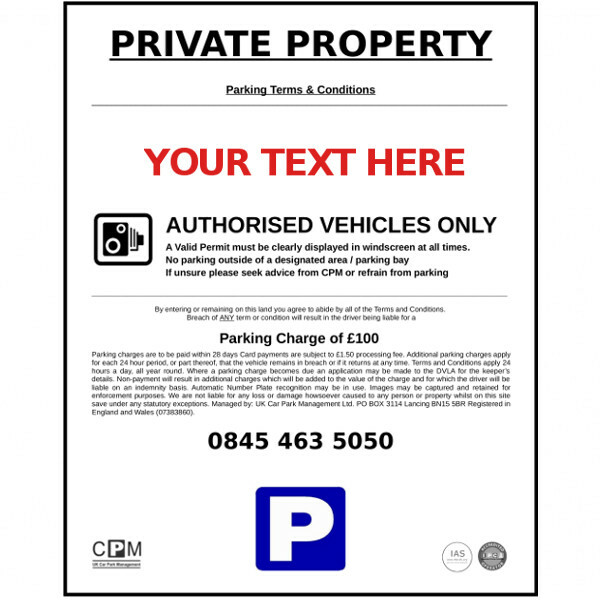 Recognised and associated with enforcement, these signs act as a great deterrent for any potential driver who may be seeking to park without permission. Unlike generic ‘off-the-shelf’ signs, these give a realistic impression of the car park being controlled and actively monitored. 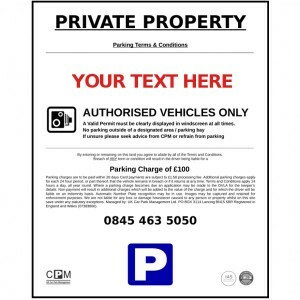 Choose from 7 different parking rules, or make your own by selecting "Custom Text" see SIGN TEXT tab for more details. 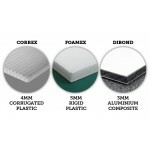 Choose between three fantastic materials, aluminium composite, foamex plastic, or correx plastic. Aluminium Composite - is a material made of two lightweight sheets of aluminium with a solid black plastic core. This balanced sandwich construction produces a very rigid yet optically-flat panel. Water and sponge or soft brush is all that is required to clean Aluminium composite. 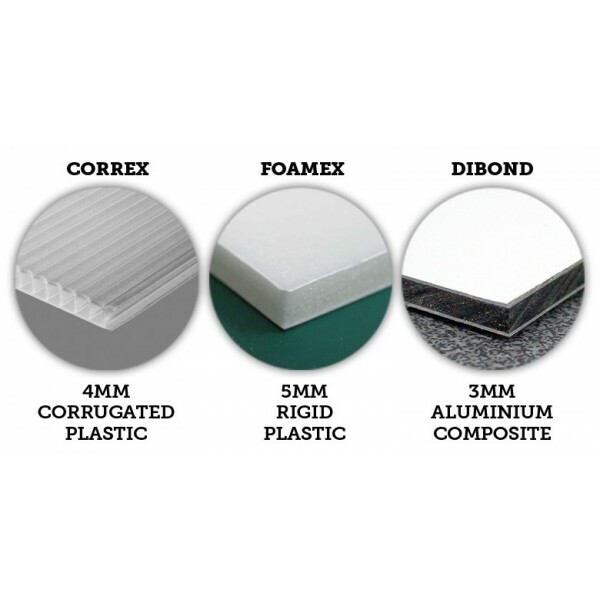 Foamex Plastic – is a rigid and extremely durable plastic board that uses compressed foam, making it sturdy yet lightweight. Correx Plastic - is the light, hard wearing plastic fluted/corrugated board usually used for Estate Agents signs. It's light and flexible and a great efficient material for signage. 2 lines / 30 characters per line, including spaces Please enter your chosen text in PayPal "comments" box during checkout process. All UK Mainland orders OVER £50.00 Ex VAT, shipping and promotions, are entitled to FREE delivery. Free delivery is normally via Royal Mail First Class Packet Post although we reserve the right to use alternative delivery methods if necessary. Most standard deliveries are carried out within 2-3 working days from the day of despatch although you should allow up to 14 days to notify us of non-delivery.